Belize is the ultimate melting pot of cultures, including Creole, Mayan, Garifuna, Spanish, British, Chinese and American (whew!). This diversity is reflected in Belize food and drink, making Belize food some of Central America's most varied. Belize breakfasts typically include fresh fruit, eggs, cheese, tortillas, and refried beans. Fry Jack, or deep-fried dough, is a popular Belizean breakfast item. Johnny Cakes, or fluffy Belizean biscuits, are also popular, served with butter and/or jam. Belize meals range with the cultures who make them. Barbecued chicken served with rice, beans, and coleslaw is a standard Belize dish. 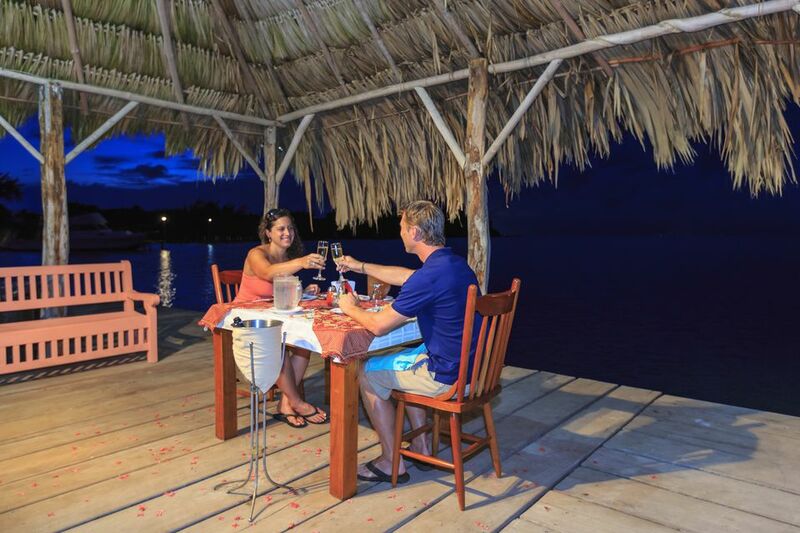 Belizeans take advantage of their abundant seafood, like conch, lobster, snapper, and shrimp, in a variety of Belize recipes. Due to an influx of Chinese immigrants, Chinese food restaurants can be found in almost every Belize town. Boil ups (or "Bile ups"): A Creole dish containing boiled eggs, pig's tail (yes, really), fish and ground plantains, sweet potatoes and/or cassava (yuca). Ceviche: Chopped raw fish, shrimp, or conch mixed with onions, tomatoes, and cilantro, and marinated in lime juice. Ceviche is served with fresh tortilla chips. Coconut is the most common ingredient in Belize desserts. Try coconut cake, chewy coconut fudge, coconut ice or ice cream. Banana cake is also sold all over Belize. The main Belize beer brand is Belikin, which comes in Belikin Beer, Belikin Premium, Belikin Stout and Lighthouse Lager. Belize wines are fermented from creative ingredients like blackberry, cashew fruit, sorrel, and ginger. Rum punch is the standard Belize cocktail: a mix of rum and whatever juices happen to be laying about. Belizeans juice every fruit available, from standard fruits like orange and pineapple to more exotic ones like soursop. Seaweeds are a uniquely Belizean drink, made of milk, nutmeg, cinnamon, vanilla, and you guessed it – seaweed! Outside of pricey luxury resort restaurants, Belize food is cheaper than U.S. food, but still some of Central America's most expensive. If you're on a budget, you can frequent food stalls at public gathering placed like parks and bus stations, or dine at basic local eateries (most which only serve one or two menu items a day, like stew chicken and barbecued fish). Expect to pay around $5 USD for a plate of chicken, rice and beans, and coleslaw from a roadside grill, on down to $1 USD for a single tamale.